Social media marketing is proving to be an effective way to engage customers and improve sales for online stores. The social media landscape is, at least for the moment, dominated by two major services, Facebook and Twitter. But there are many other services that offer the possibility of connecting with new customers or building stronger relationships with shoppers already familiar with your store. Yahoo! Meme is a free microblogging service that allows for inline images and video, mobile reading and posting, and multiple language choices for marketing internationally. “The PEC Review” is my weekly column created to introduce you to the products or services that I believe may help you improve your ecommerce business. This week, let me explain some of the reasons I think that Yahoo! Meme is a good choice for a second microblogging service. While I have already pointed out that Yahoo! Meme is not the largest microblogging service, I do believe the site has potential. 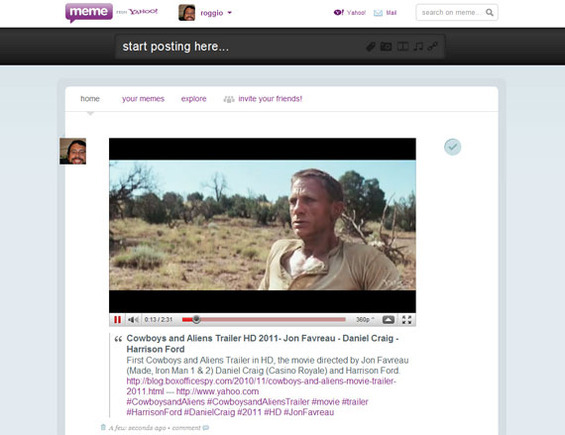 For example, it is very easy to invite friends, co-workers, or potential customers to follow your Meme via Yahoo! Mail contacts. This is important because, according to published reports, there are something like 300 million Yahoo! Mail users compared to about 170 million Gmail users. While it is extremely unlikely that 300 million Yahoo! Mail users will suddenly become Meme users, it does demonstrate that there is still a large potential audience for the service and a convenient way for Meme to spread across that audience. From its inception, Yahoo! Meme has included inline video and images, so that it presents not just a stream of text, but rather a multi-media experience. As a result, the service can be more visual than other options, which in turn, provides ecommerce marketers with the opportunity to appeal to customers not just with words or discounts, but also with audio podcasts, music, pictures, illustrations, and videos. Meme embedded media inline, appearing to users sense of sight and sound. Like most social media services, Meme allows you to post or read posts from an Internet-enabled mobile device like an Android phone or tablet. Meme has a relatively strong presence in Latin America, Indonesia, the Philippines, and other regions. While this is not necessarily important for every ecommerce merchant, some—particularly those selling services or downloadable content—may find new customers in these markets. Additionally, the service is actually offered in the native languages for these regions, and again thanks to its visual nature, it can appeal across linguistic lines. For example, I follow several Memers that post in Portuguese, Spanish, and Chinese. 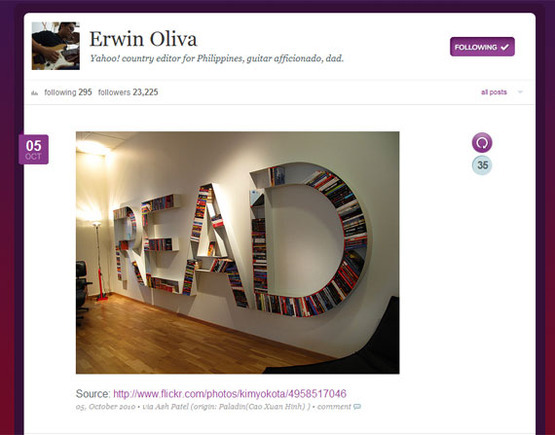 Erwin Oliva, Yahoo’s country manager for the Philippines, has more than 23,000 followers on Meme. Posting to Meme is also a snap. There are tools like MemeThis that are created for making “Memeing” easier. It is possible to post directly from a Yahoo! Mail account, and the Meme interface is very functional too. 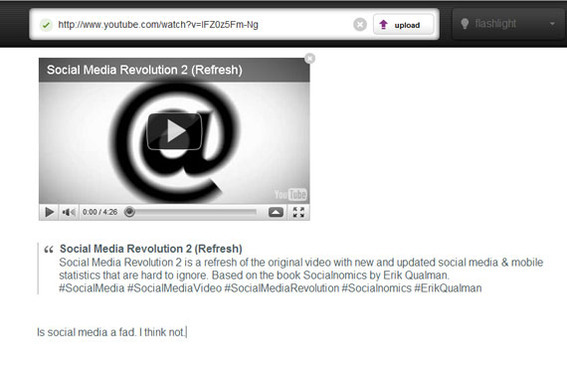 Pasting a YouTube address into the Meme interface provides a preview of how the video will appear in the Meme stream. Adding text is easy, too.